phases during the period from December 2011 until December 2015.
block were built. Landscaping of adjacent territory and the promenade were completed. Residential complex «Chajka» is a unique business class microdistrict in the town of Chekhov in Moscow region. It is located in the very heart of the town, on its main square and forms a modern and beautified image of the whole town with its high standards of life and leisure for its residents and visitors. The reconstruction of the embankment along the cascade of the ponds, as well as the complex of the nearby area improvements, including construction of the playgrounds and sport areas, is an example of the new, socially responsible approach of a Developer towards urban planning. 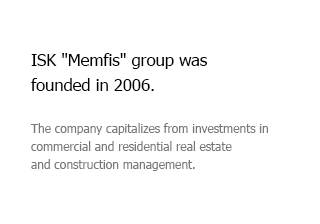 OAO «Sberbank of Russia» acted as a financial partner of ISK «Memfis» in construction of the residential complex. The residential complex rightfully claims the title of the best residential complex in the South of Moscow town satellites. ISK «Memfis» cares about high life quality not only of the complex residents, but of all residents of Chekhov town. Прямой маршрут к ЖК "Чайка"
Скидки на квартиры в ЖК "Чайка"
Ввод в эксплуатацию 4го корпуса ЖК "Чайка"